As per the plan the high-speed metro corridor will run parallel to the CST-Panvel elevated corridor. Mumbai: Looks like the case of double trouble for the Airport Line. As per sources this line may hit a roadblock as well. The reason being that execution delay in the CST-Panvel elevated corridor which is likely cause a setback. This setback will be for the proposed construction of high-speed metro by Mumbai Metropolitan Region Development Authority (MMRDA) that will link Mumbai Airport to Navi Mumbai airport. This project is under construction. As per the plan the high-speed metro corridor will run parallel to the CST-Panvel elevated corridor. It will begin from Mankhurd with an intersection near Nerul heading towards Navi Mumbai airport. MMRDA official shared that Delhi Metro Rail Corporation (DMRC) is in the process of preparing detailed report for the project. But, if there further delay in building CST-Panvel corridor, it may hold-up construction of the proposed high-speed metro linking the airports. 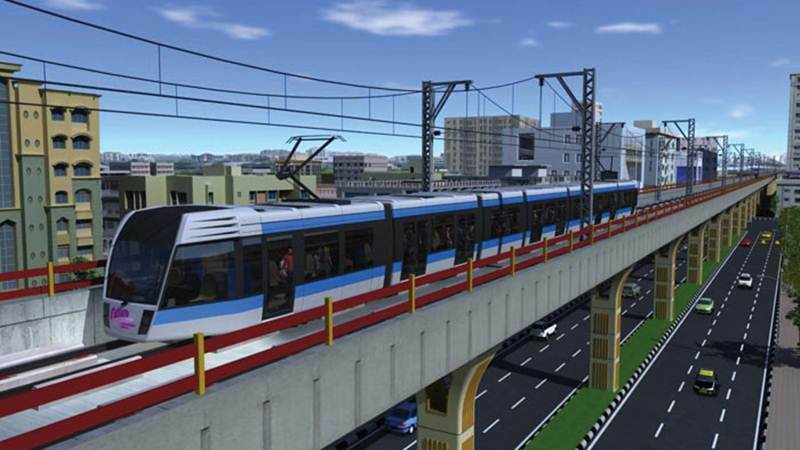 The MMRDA official further added that proposed metro corridor will run parallel to the CST-Panvel elevated corridor. It will have an intersection near Nerul. They cannot construct the metro prior to construction of CST-Panvel elevated corridor. On the other hand, precise alignment is yet to be decided. As per the plan the metro corridor is likely to begin from International Airport wherein it is expected to split its terminal with the Colaba-Bandra-Seepz Metro-3 underground corridor from where it will run underground up to Ghatkopar. From Ghatkopar, it will be elevated till Mankhurd from where additionally it will convene at the planned CST-Panvel elevated metro corridor. According to the plan, the high-speed corridor between two airport will be operational round the clock as planned by MMRDA. Taking into consideration that it links both the two airports it will be advantageous for those who have connecting flights from these two airports during night. But the frequency at night may not be same as that during the day.